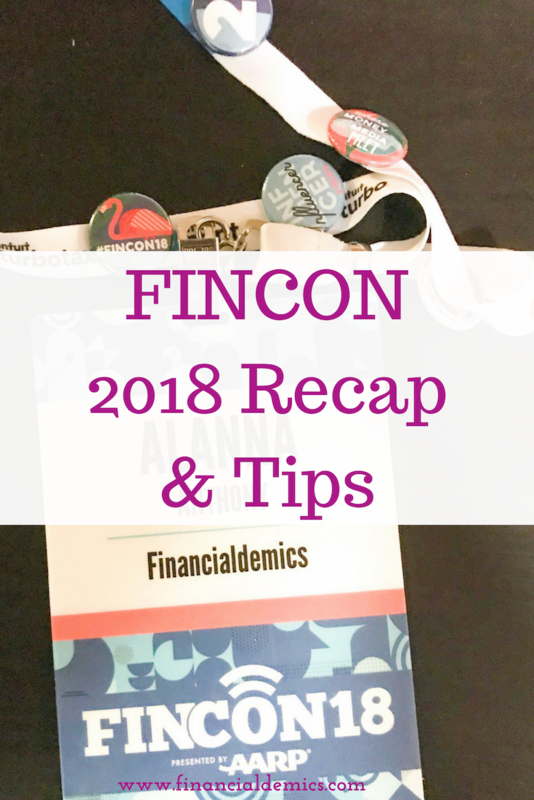 I attended Fincon (Financial Bloggers Conference) again this year. What is Fincon? 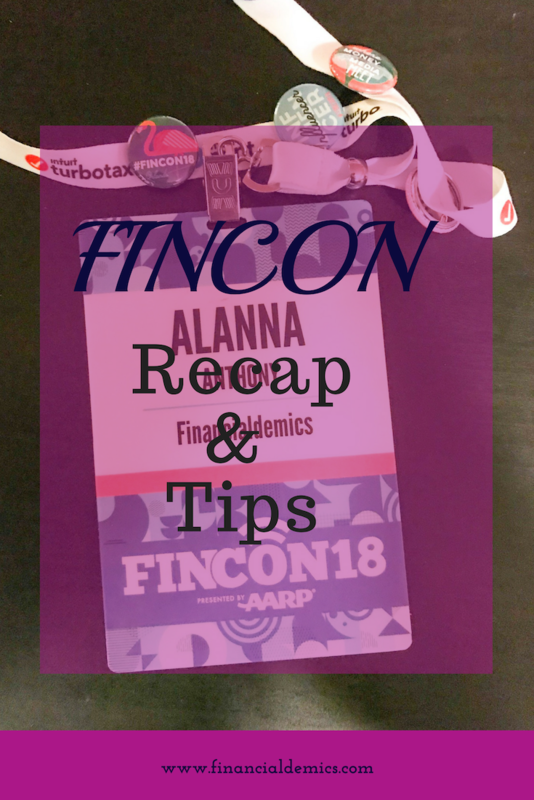 Fincon is the Financial Bloggers Conference and it’s “Where Money & Media Meet”. This is my 2nd year attending and I enjoyed the opportunity to learn more to expand my business, engage in opportunities to collaborate with others, and meet your social media friends in person. It was also great that it was in Orlando this year so I was able to wear my sandals a little bit longer because it was 60 degrees when I left New York. This year, I had a plan to make more connections so I can create collaborations in the future. So you should have an elevator pitch or two so people will know what you do and how you could possibly collaborate. I definitely met a lot of people but I feel like I could have made more of an effort to meet more people but I’m an introvert so I needed to take time to recharge. Also aimed at reaching out to other bloggers who tooled their blogs in the direction I am looking to go. Since I was making an effort to meet others I also made sure to have my business cards with me. You are going to be meeting a lot of people and if you want to continue the relationship outside of the conference you want to make sure you have their information and they have yours, so business cards are important. Fincon is also a great time to interview the blogger you want to collaborate with. They make it so easy to record a podcast or a video and I even if you don’t use their equipment you can always grab a quiet corner and conduct your interview using your own equipment. This is an area I failed at. I knew I wanted to interview a few people for a series I have coming up but I forgot my questions and some of my equipment at home but that’s ok, I will still get it done (that’s what technology is for. After the conference, it’s a good idea to create a plan to implement what you learn or discovered after you recover (you won’t get much sleep during Fincon, there’s a lot of connections made in the evenings). If you came to Fincon trying to decide your next steps or even if you didn’t, you will leave Fincon so inspired and ready to make your next move. Take time and decide what your priorities are in your business and create a plan to put what you learned into action. Bring cough drops or throat lozenges. you will do a lot of talking and the late nights and early mornings don’t help. I always leave with a raspy voice. Bring an extra bag for your swag. There are a lot of great brands at Fincon and they give out a lot of swag. You don’t want to be in your room a couple of hours before your flight struggling to close your bag. Side note: I was strategic about my swag this year. I picked up things that I knew I was going to use or wanted to purchase another one of like a tripod, pins, notebooks, and t-shirts. Volunteer. I volunteered last year but I didn’t volunteer this year. I wish I would have. It gives you an opportunity to meet others so I will be volunteering next year. Sign up for one-on-one mentoring. This is another thing I did last year but not this year. Not because I didn’t want to, I forgot to sign up by the deadline but it worked out in my favor. I met Tarra MsMadaamMoney and she poured into me so I did have a mentoring session that was amazing. If you want to see pictures from my Fincon experience follow me on Instagram. 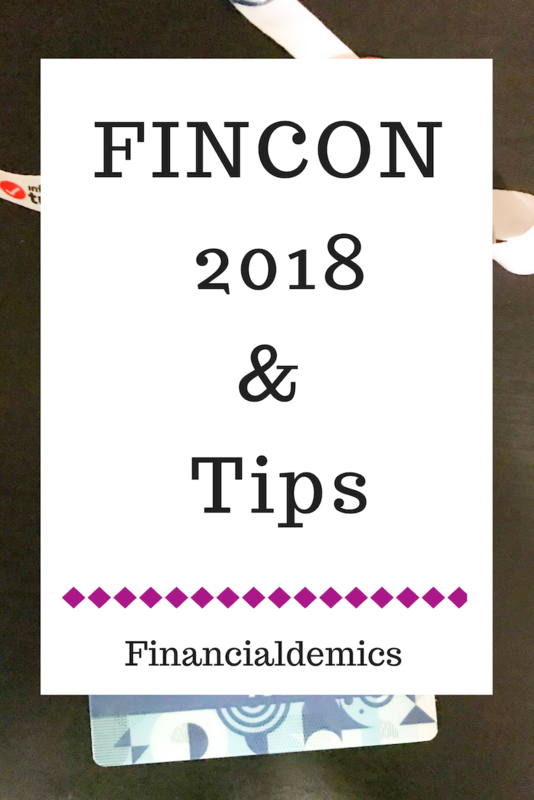 Fincon is a great experience if you are in the personal finance space and are looking for others to collaborate with or you are looking to expand your brand. If you are interested in attending next year you can check out more information at www.finconexpo.com.